Through all of the ups and downs in the market real estate still remains one of the best investment tools available to those of us that are serious about our financial future. Although traditional vehicles such as IRA’s and 401K’s may be a good starting point for any portfolio, real estate investing still offers the possibility of better yields for our investment dollar. Here are some other advantages to investing in real estate that one should consider. 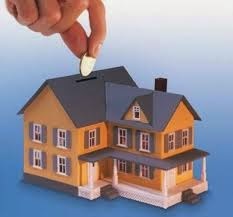 Obtaining financing to buy a property is still one of the easiest ways to obtain money from a lender. If you don’t believe that than try making a loan to start a new business or some other venture and you will see how much more complicated the process can be. Real estate is a great way to leverage capital and make a good return on your investment. As you’re probably already aware, it is possible in most states to not pay taxes on the sale of a property provided that the money is reinvested within a specific period of time. This allows one to reinvest 100% of the proceeds into new investments! What other type of business can make this claim? A big advantage to owning real estate is the tax deductions that are available. Most homeowners already know that it is possible to “write off” many of the expenses associated with owning a property and there is the added benefit of appreciation over time. Provided that you have purchased wisely and at a reasonable price your investment should increase in value over time as well as provide you with tax deductions that you would not otherwise be able to take advantage of. Rental properties also offer many tax advantages including travel expenses when visiting the properties and a multitude of other deductions. It is possible to claim many personal deductions as part of ownership if you know how. It is also possible to obtain an "overage" of deductions that can even be applied to other incomes that you may have! There are many stipulations involved with our tax laws so it is vital that you speak with an expert in these matters before assuming what is and is not deductible. One great thing about owning rental properties is the fact that the income will always be there. As long as you maintain your property and have a good rapport with your renters you can be reasonably assured that the income from your investment will continue into the future. What better retirement plan could there be? The option to sell the property is also there if you choose but either way you have a solid investment that can be relied upon in the future.